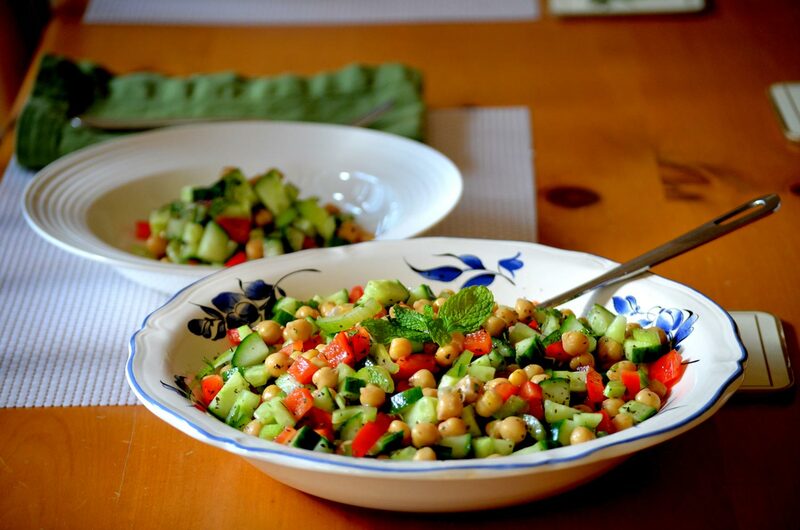 Light with flavours of citrus and mint, this salad is my favourite for picnics and patios. Great on a hot day, it is easy and it’s bright colours bring interest to any table. In a small bowl, mix the ingredients for the dressing. Set aside. Mix the ingredients for the salad in a large bowl, and toss to combine. Drizzle with dressing just before serving. Toss to cover everything with dressing.